It is reported there are over 600 million people living in Southeast Asia. The formation of ASEAN leads this region to become more united and prosperous. Some even boldly claim this newly founded organization could ascend to the fourth biggest economy, following U.S., China, and EU, by 2030. 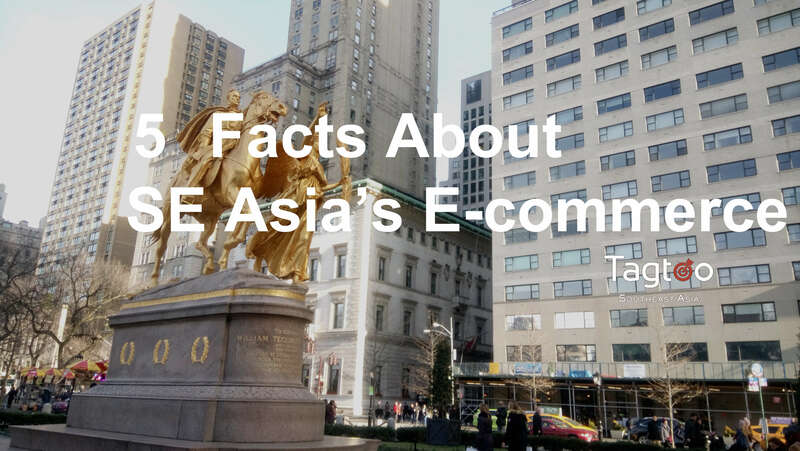 In terms of e-commerce, which is widely practiced in developed countries, Southeast Asia seems remaining at a nascent stage and far left behind — only one-fourth has actually made the first purchase. However, everything is changing at a swift pace and e-commerce is at a tipping point in many categories, such as clothing, footwear, and travel. With more and more promising company and startup boosting the advancement of e-commerce, this region will see a drastically explosive growth in the following years. Due to the insufficient infrastructure in most areas and the higher cost of getting desktops, acquiring the access to Internet through mobile phone seems the best and affordable option. Hence, the increasing accessibility of mobile phone plays a major role in lifting e-commerce growth. This phenomenon is especially significant in outlying areas which, in some extreme cases, lack the proper support of electricity. Rural residents increasingly rely on mobile devices to obtain the latest news and interact with e-commerce websites. Thailand and Indonesia, for example, are two countries where the heavy reliance on cellphone use for product search and ordering were observed, 85% and 79% of the total outlying population respectively. As such, mobile interface optimization and mobile marketing could grow into decisive factors for the remaining winners. The acquisition and application of mobile data would become extremely valuable for companies’ growth. The fragmentation of online purchase channels is something we need to beware of. Nowadays, there is no any predominantly preferred e-commerce marketplace in every individual country. Singapore, the most developed country in Southeast Asia, for instance, is encroached by 12 different retail platforms. None of these retail platforms is the customer’s first preference for more than 20%. Undoubtedly, the phenomenon also takes place in other countries, causing more chaos and requiring more attention. Therefore, it’s integral to come up with comprehensive strategies to handle the baffling and fragmented channels, one of the best way being showing up your presence in the all top platforms. Having said that, you should consider the attribute of products and study the difference of every platform before hitting the shelves. Even though having the sufficient silver bullets and successful business models proved in other regions, global players, such as Amazon and eBay, are not performing very well, unable to win the trust of online buyers. In contrast, local and regional players are, from the statistics, the top and first choices in the eyes of Southeast Asian and secure higher Net Promoter Score, standing out from the intense competition. The reason why global players don’t win the favor and stand out are, in large part, because those local and regional players have more understanding about their fellows and are able to stand in their shoes. As a result, the better-tailored experience becomes the unique advantage to defeat global entrants. While the aforementioned facts are clearly observed, the e-commerce landscape may become dramatically different one in the near future with more and more resources instilled. More precisely, even if local and regional players are among people’s first choice, the rank could be changed in the wink of an eye. Moreover, it is expected that global players are going to allocate more budgets on the fiercely harsh competition in order to reclaim oversea market. The influences they bring will highly stimulate the innovation in many ways, such as fulfillment and delivery system, making huge progress in e-commerce and benefiting more people. Finally, it is believed that new business model which is developed based on social commerce will come into existence soon with social media companies, Line, for instance, joining this harsh battle. Even if there are more experiments and field-testings to be carried out, the impacts toward the existing e-commerce can never be neglected. You should always keep the power of the social network in mind.